We don’t often realize how essential it is to surround ourselves with nature and get back to our roots. 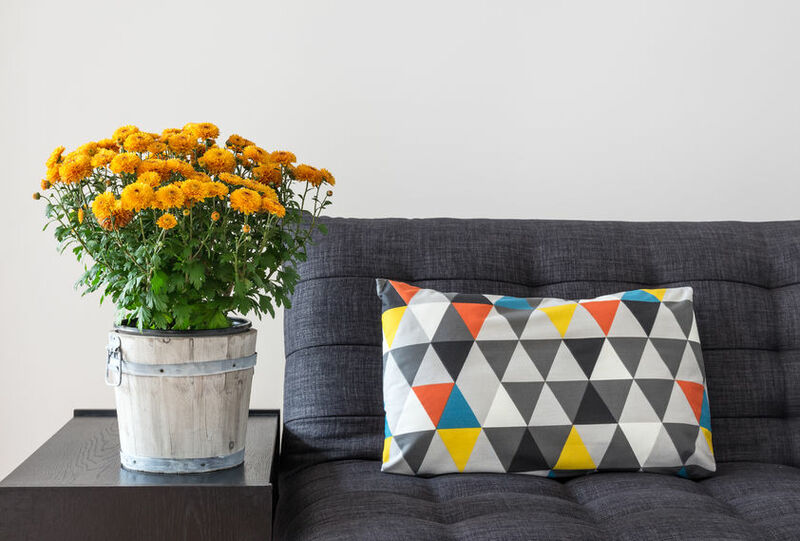 If you’re looking for ways to incorporate more of nature’s best into your home, consider these awesome tips and features and let Mother Nature become your interior decorator. What’s more natural than the rush of clear waters? If you’re looking to bask in the sounds of running water and impress any guests you entertain, consider installing a slate water wall into your home. This is as close to a waterfall indoors you can get, and for some of us, these innovative features are worth the exorbitant price tag. If that’s biting off more than you can chew, a fountain feature in your bathroom or on a table top will do the trick. Wayfair has a variety of tabletop fountains that will serve as the perfect centrepiece while also contributing to a calm atmosphere. Name one person you know who wouldn’t smile at the beautiful blooms of lush flowers? I tried, and I can’t. Everyone can benefit from a gorgeous bouquet, and who says we have to be gifted with flowers to enjoy them? Flowers serve as an instant pick me up, so sign yourself up for a weekly delivery from a flower company like FTD. You can find all of your favourite blooms; plus, seasonal selections mean your home décor centrepieces will always be on point no matter the weather or holiday. For those of us who weren’t gifted with a green thumb, succulents are here to save the day. Not only are they easy to care for, but succulents have become one of the hottest plants out there. You can find arrangements of all types. I enjoy mixing differing sizes and pots to make a sort of succulent gallery and they look great in any room of the house—from your sunporch to your bedroom. Add a little rustic appeal by selecting furniture made with natural elements. Think wood tables, chairs, and even wall shelving units. If you’re looking to put your own personal spin on new furniture, consider buying unfinished pieces from a company like Natural Unfinished Furniture. Their pieces are all-natural and will be the perfect canvas for any stains or weathering you’d like to personally apply. In the kitchen you can up your chef game while bringing some fragrant nature into your room. Install an herb garden onto your wall using bolted baskets or small wooden crates. Make sure you place them in optimal sunlight. Any cooking enthusiast would be remiss to shirk this idea—imagine being able to grow your own ingredients and have them within arm’s reach. Beautiful stones aren’t just for pathways. You can bring beautiful pebbles and rocks into your indoor décor in a variety of ways. The easiest way? Grab an opaque vase or decorative bowl and arrange differing hues of stone within for a rock terrarium that requires no effort at all. For a more intensive décor project, consider stone backsplashes for your kitchen and bathroom. The effects of a quality backsplash can give both of these rooms an immediate facelift. Forgive the pun, but utilizing some majestic branches as a focal point on a blank wall could be the perfect way to class up your living space with some natural elements. Clean up the branch to your liking, then bolt into the wall for an instant statement. I’m partial to twining twinkle light around the branches, and you can also install shelves between the spaces to add practicality without losing any of your design appeal. One of the easiest ways to let more of nature in is to open up your windows. Get rid of bulky curtains and window treatments that block light, place emphases on windows that might look out onto beautiful nature scenes in your yard, and consider creating new windows in rooms that are closed in by walls. If you’re looking to incorporate a trendy, organic feel into your home, consider using any one of these features for an instant sprucing. 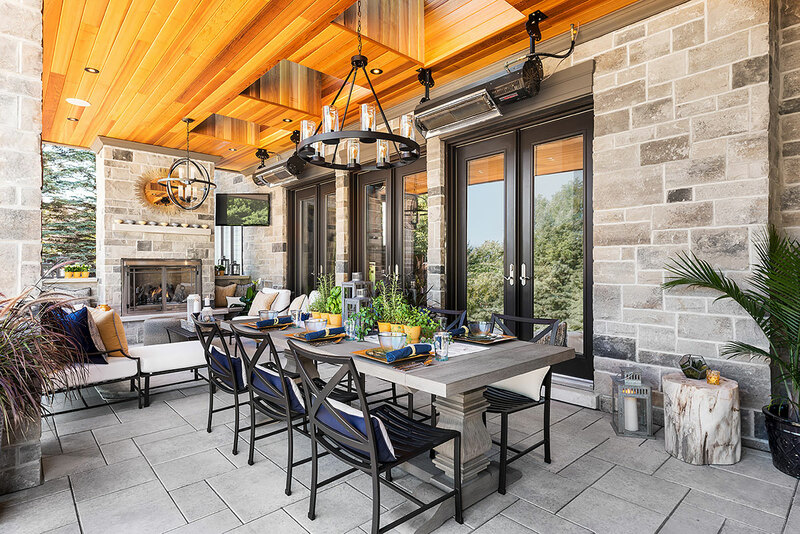 From natural light to stone accoutrements, making your indoors into a quasi-outdoor oasis is easy if you know where to look.